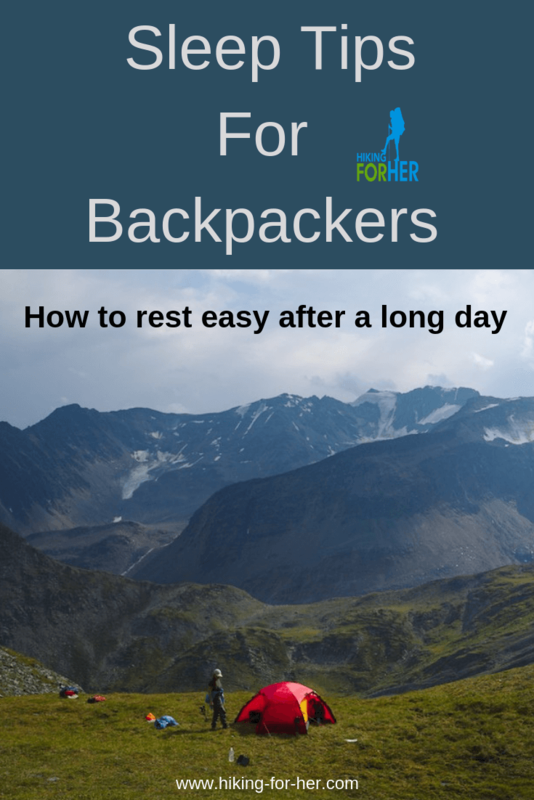 Hunting for the best sleep tips for backpackers? I'm guessing you've had a few sleepless nights on a backpacking trip, just like me. These strategies for restful nights inside your sleeping bag or backpacking quilt are written to help you get the rest you need to tackle your hiking goals. One of the mistakes I've made on a backpacking trip is to keep myself all wound up, long into the evening. Gulp down some food and hot foot it up to a viewpoint to catch the sunset, then rush back to the tent with a headlamp because tomorrow's a big day. Eat too much or too little for dinner. Consume enormous amounts of liquids half an hour before turning in for the night and then regret it (what goes in will definitely want to come out at midnight or later). Stay up yakking and laughing with trail buddies even though my mind and body are longing to rest. Based on overcoming these mistakes and others, here are some suggestions for how to set yourself up for restful sleep on a backpacking trip. Let's start our tour of sleep tips for backpackers by looking at your camping gear. A backpacker carries a comfortable sleep system to ensure a great night's sleep. Is yours up to the job of delivering comfort and warmth? Consider whether you're a thrasher, side sleeper, belly nester, or a bit of everything, and choose your sleeping gear accordingly so you don't feel trapped or wake up uncovered. Now let's make the connection between sleep tips for backpackers and backpacking food. To begin setting yourself up for restorative sleep on the trail, it's best practice to eat and drink your backpacking menu BEFORE you pack it. Trying new ingredients or flavorings for the first time on your trip is not recommended by Hiking For Her. You might not find out about a food insensitivity or reaction until you're wide awake at midnight with a belly full of hurt. On the flip side, bringing a particular food or tea which you know will soothe and sedate you is a wise choice. It's important to replace the water you've lost that day, and part of that comes from your evening meal. However, to avoid a nasty dehydration headache that can wake you up or prevent you from sleeping long into the night, start re-hydrating yourself as soon as your backpack comes off for the day. Sip as much water as possible before you eat your meal. Limit water consumption a few hours before you turn in; time your evening meal accordingly. Vow to stay hydrated every day on the trail, using these hydration strategies. To avoid gulping or zoning out during the enjoyable time called dinner time on a backpacking trip, deliberately set aside everything else (maps, phone, gear repairs, troubling thoughts) and concentrate on your food. As a backpacker, you know that portions are controlled, so make every mouthful count. 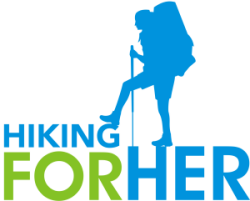 These Hiking For Her tips on how to feel full on a backpacking trip will help you savor your food fully. Quantities of backpacking dinner food consumed also matter. A heavy, hard to digest meal high in fat and protein can lead to heartburn and reflux, especially if you crawl into your tent right after your last bite. Too much salt consumption at dinner can wake you up hours later, yearning for water, which is a very real possibility with some freeze dried and processed hiking foods. Caffeine consumption is also a culprit for insomnia on a backpacking trip. If you're super sensitive to caffeine, you might want to cut yourself off from it in mid-afternoon, just in case. But it's not just food that can mess with your sleep cycle. Some medications, such as pre-menstrual syndrome (PMS) over the counter brands contain caffeine for it's bloating relief (caffeine pulls water out of the body). Watch what you're swallowing for pain relief for headaches, too. Certain brands contain caffeine as a stimulant to bring more blood flow into your head. Make a point to stay hydrated and stop squinting into the sun tomorrow to head off a headache, but if you bring along pain relief, it might keep you awake. Check your prepared backpacking meals, trail snacks and medication labels before you leave for the trailhead, with these ingredients in mind. Munch on crackers left over from lunch as you prepare your backpacking dinner. More about the best protein choices for backpackers here. As you clean up your camp kitchen and get ready for bed, tryptophan (an amino acid, which is a protein building block) from your food is converted into serotonin, a sleep promoting chemical. Eating a few crackers or nuts because you're too tired to prepare dinner before you crawl into your sleeping bag will work against your goal of sleep. It's likely that you'll wake up hungry in the middle of the night. And you need a belly full of carbohydrates, protein and fats to repair your muscles, stay warm, and be rested for the next day's exertions. Make some notes about how to improve your pacing and planning so you will always have time to eat properly. Mental notes seem to fade away once you're back home again. Your trail journal comes in handy for this reason. Stressing about getting on the trail bright and early is a sure fire way for your eyes to pop open at 2A. Get some morning chores out of the way before you get ready to fall asleep. Treat your water and refill all water bottles, hydration reservoirs, and breakfast pot(s) or water bladders. Have breakfast food and morning hygiene items topmost in the bear canister or food bag. Mix breakfast grains like oatmeal or quinoa into a thermos of water to sit overnight (enhances the digestibility, too). Make gear or clothing repairs while you're waiting for dinner to cook, so they're ready to go in the morning. Study your route to get a clear idea of where you're headed tomorrow. Talk over pacing and navigation plans with your trail buddies, and come to an agreement so you're not worried about it later. Repack your backpack as much as you can, leaving only the items you need for the morning available on top. Choose a quiet, sheltered spot for your tent or tarp if at all possible. Avoid being the tallest thing around to minimize catching noisy breezes or gusts that will rattle your gear and keep you awake. Also avoid tree limbs or vegetation that will tap, tap, tap against your shelter in the dead of night, making you think of the undead - or the very much alive animal visitors you don't want to hear. Use a tent footprint or waterproof blanket beneath your sleeping surface to insulate and protect your body heat as you sleep. As soon as you get your tent or tarp up, unroll your sleeping pad and fluff up your sleeping bag to create an inviting space. If you have a backpacking pillow, inflate it or fluff it up. Otherwise, use a stuff sack and unused clothing to make an impromptu pillow. Lay out your trail clothes so you can get dressed easily, even in the dark. Put your underwear in your bag or quilt so at least the first layer is toasty in the morning. Locate any reading material or items you need for your evening ritual (see below), and set them on top of your sleep system. Heads up: a glowing Kindle or cell phone screen might work against you if you devote hours to it right before sleep. Have your headlamp or flashlight handy, if not in your pocket, so you can see where you're going as night falls. Scope out a pee spot before dark if you know you'll wake up. Eliminate or note any tripping hazards (tent stakes, guy lines, branches, rocks) so you can do your business fast and without incident. An extra water bottle used as a pee receptacle inside your sleeping space might be a smart alternative to nocturnal urges that leave you wide awake and with cold, damp feet. Cue your body that it's time to rest. Wash up with any warm water left over from dinner, or use unscented moist body wipes to get the grit off your face, neck, feet and groin. Do five minutes of whole body stretches in a gentle way: arms over head, fingertips toward ground, torso twists, knee to chest, anything to get the kinks out of your hard working big muscle groups. Inside your sleep shelter, change out of your sweaty trail clothes and footwear, into the dedicated sleeping clothing you've packed. Gently massage your feet and toes, wrists and fingers, back of the neck, bringing ease and relaxation to the areas you've worked hard all day. Do you have a favorite unscented muscle balm or lotion? You can add that into the massage, or apply it to your sorest spots. If you have a favorite relaxing yoga pose, like child's, reclined butterfly, or corpse pose, enjoy a few minutes of mental and physical release as your body lets go of its tension and you become mindful of your breathing. Inside your sleeping bag or quilt, do a whole body relaxation sweep: clench/unclench your toes, working your way slowly up to your eyes and eyebrows. Recite a favorite poem, prayer or mantra, or hum a song that makes your feel peaceful, grateful and centered. The wind will pick up in the middle of the night, blowing debris around you. A soft, sometimes not so soft, scratching noise might get your attention. The full moon can break out from behind the clouds, illuminating the landscape and shining a spotlight in your face if you're pointed in the right direction. Your tent mate might will snore. Fall asleep wearing a black out eye shade, or wear a soft, wide headband pulled down low over your eyes. If battery power is not an issue, fall asleep with ear buds and your favorite music (on a timer, of course). Keep a clean camp so your animal worries are minimized. Set up your sleep spot within the sound of running water so you'll drift off surrounded by white noise. Sometimes it's a good thing that you're jolted awake from a sound sleep. The tent is collapsing under the weight of falling snow or violent wind gusts (an unwelcome surprise), and you need to fix it. A bear has decided to visit your camp. There's a mouse inside the tent, rocketing around and vaulting over your head (true story!). Other times, you wake yourself up with thoughts or sensations. That's why sleep tips for backpackers should pay attention to both mind and body to get you back to sleep. A churning mind filled with anxiety or stress sounds like something you'd like to leave at home on a backpacking trip, right? Yet we fall into old patterns even when we're far away from jobs, obligations and pressing business. Use the whole body relaxation sequence again, very slowly and thoughtfully. If insomnia is your normal pattern, accept that you will be awake for awhile. Can you adjust your start time in the morning to buy yourself some rest? Don't get caught in a freak out cycle, which only escalates your thoughts. Yes, you will feel fatigued in the morning, but you have enough physical and mental reserves that you'll get through your day. Replay the favorite parts of your day, savoring the sights, sounds and sensations you experienced. Focus on your breath as you appreciate how snug and safe you feel: count to four as you slowly inhale, count from five to eight as you exhale. Cover your head or hands if you feel damp or chilled. Empty your bladder if you feel uncomfortable pressure (see tips above). Change your sleeping position if you detect bumps, lumps or holes beneath you. If soreness is keeping you awake, adjust your body using rolled up clothing as bolsters until you find the supported position that feels best. If your soreness is extreme, did you bring any over the counter pain relief? Now might be the time to deploy it, using a sip of water from the bottle you thoughtfully placed near your head. 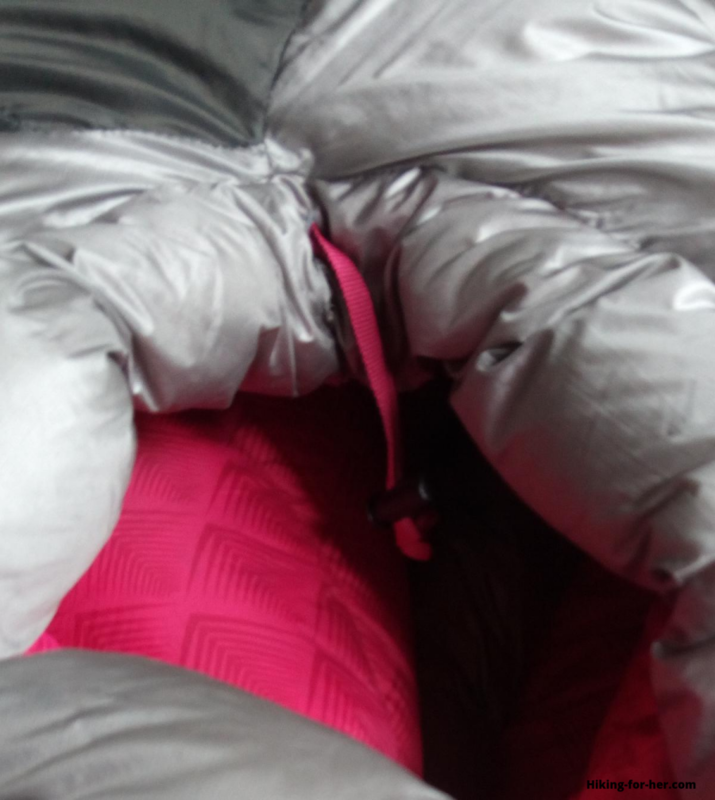 Adjust the amount of air in your inflatable sleeping pad and pillow. Pull out your trail journal and write that to do list you're stewing over, or make notes on what you're struggling with. Consciously open your mouth, exhale, work your jaw muscles, and yawn like a great big tawny lioness. Yawn a lot. It might be the cue your body is needing! If you're still reading, you've got quite a list of sleep tips for backpackers you can try when things go amiss in your sleep cycles. But you can also set yourself up for successful restorative sleep with some conscious behavioral choices during the day. Specifically, avoid doing these things in order to make falling asleep, and staying in deep restful REM sleep, more likely. Resist the urge to nap after lunch or right after you reach your campsite, unless you're an accomplished cat napper. If you feel sleepy, distract yourself with chores or conversation. When there is left over food from dinner and you need to "eat for sport" to consume it, don't immediately lie down with your full stomach. A brief stroll will help your body start the digestion process. If you hike with a flask of your favorite adult beverage, don't consume it right before bedtime. Alcohol makes you feel sedated at first, but as your body processes it you might wake up in mid-sleep cycle, wide awake, from its stimulating effects. Don't let yourself get wet, damp, chilled or outright cold right before bed. Your internal furnace is stoked from your evening meal, but you want that heat released throughout the night, not being diverted into your ice cold feet and hands. Avoid emotionally charged conversations or thoughts (or revisiting them) as you transition into rest and digest mode in the evening. Choose serene thoughts! As you can see, no one thing alone will guarantee that you'll fall asleep fast and stay that way through the night. That's why it's important to remain open to trying any and all of these sleep tips for backpackers if they make sense for you. 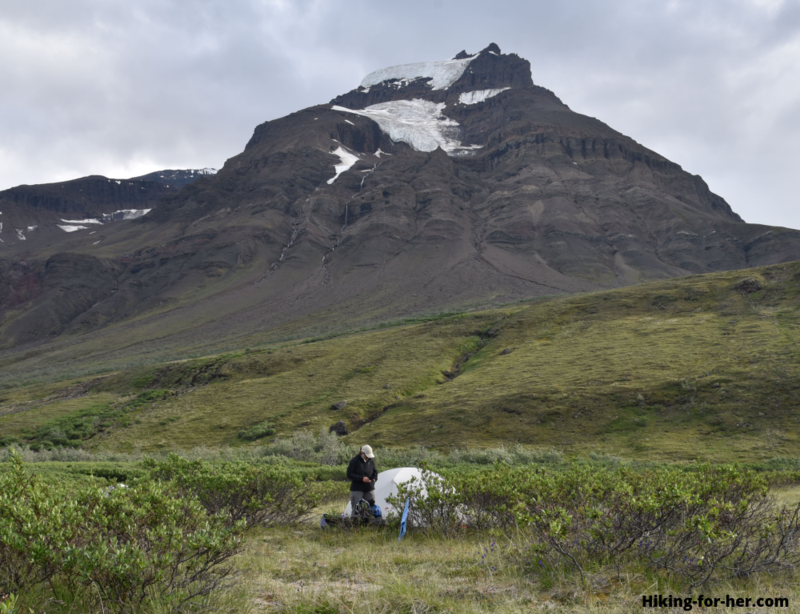 After a long day of backpacking, chances are that you'll drift off quickly into a sound sleep. But no harm in being proactive about those chances, right?